Measurement Year. Sick leave rules measure accrual and use based on a 12- month measurement year. Proposed regulations leave it to the employer to define the measurement year. Some employers will find using the calendar year is the simplest approach, while others will want to continue existing policies of using employee anniversary dates. The consequence of using anniversary dates will be that each employee may have a different measuring period. In any event, each employer should determine which measurement year the employer will apply prior to July 1. Record-keeping. Requirements to retain employment data are not new to Arizona law. What is new is the requirement to track accrual and use of sick leave and to report it with each employee’s paystub every payroll period. Employers often do not keep sufficient records, which has the potential to cause significant issues for the employer in the form of increased litigation expense, higher costs of settlement or judgments, and penalties. Arizona’s new sick leave statutes impose penalties of up to $1,000 per violation for recordkeeping failures. In addition, an employer who does not keep proper records is presumed not to have paid sick leave benefits, which carries a penalty of double the amount of any unpaid wages. Employers should verify that their payroll systems or payroll services are prepared to gather and report required date. Hourly Rates. The proposed Regulations provide specific rules for determining the rate at which employees must be compensated for sick leave they use. Particularly in cases where employees may be paid at multiple hourly rates because they fulfill a variety of assignments, or where employees are paid on a piece rate or other non-hourly rate basis, employers should ensure that sick leave reimbursement rates satisfy the requirements of the proposed regulations. Communications and Notices. As a result of changes in both Arizona minimum wage laws and sick leave requirements, Arizona employers should review pertinent policies to ensure that they are up to date. In particular, notices regarding the new sick leave requirements must be posted in English and Spanish, whether or not the employer has any Spanish-speaking employees. Click HERE to view and access notices in both languages on the website of the Industrial Commission of Arizona. Disciplinary Policies. As with many employment-related statutes, Arizona’s new sick leave statutes prohibit retaliation against employees for using sick leave, and penalize employers who retaliate. Even when an employee appears to be abusing the use of sick leave, the employer must not take an adverse employment action in response. Employees complaining about retaliation have a relatively low threshold for establishing a rebuttable presumption that the employer has retaliated in response to protected activity by the employee. This means that a planned disciplinary action could be interpreted as a violation of anti-retaliation rules if it occurs shortly after an employee takes sick leave, even if there is no relationship between the two events. In order to rebut the presumption, employers must manage their disciplinary process in a way that creates a clear history and evidence of the employer’s response to an employee’s negative behavior. This evidence will help the employer to establish reasons for its disciplinary actions that are independent of an employee’s protected activity. Thus, we strongly recommend that employers review their disciplinary processes to ensure that any adverse employment actions can stand on their own merit and cannot be easily linked to an employee’s exercise of his or her rights to sick leave or other protected activity. Establish Separate Policies. Twenty or so years ago, most employers consolidated sick leave and vacation pay policies into unified policies for paid time off or PTO. This relieved the employers of the need to identify or track the reason for an employee’s absence, and gave employees greater freedom to plan their own schedules. Now, because sick leave accrual and use must be tracked and reported each payroll period, employers are well advised to separate sick leave from any other kind of leave that they provide to employees so that each employer can define the conditions of the benefits the employer offers to the maximum extent possible. In particular, employers may want to minimize record-keeping requirements and the potential of unlimited carryover of paid time off. Employers who continue to maintain a single paid time off policy may subject the entire leave pool to all the restrictions and conditions attached to any part of that pool. Thus, if sick leave is subject to unlimited rollover, the entire paid time off pool may be treated in that way. This principle can be important, for example, if an employer cashes-out paid time off when and employee leaves. If the employer maintains a single paid time off policy, the entire leave pool, including unused sick leave, could be subject to the cash-out if the policy treats paid time off that way. The wording of Arizona’s sick leave statute appears to require the indefinite carryover of unused sick time each year, but proposed regulations can be read as limiting carryover to a maximum of 40 hours. If the wording of the statute, rather than the proposed regulations prevails, using a single leave policy could result in years of accrued sick leave being subject to cash-out. In contrast, if the employer’s policies provide separately for sick leave, and, as permitted by the new law, prohibit cash-out of sick leave on an employee’s termination, the employer can provide a cash-out of paid time off under whatever conditions the employer prefers and still comply with the requirements for sick leave. Even if the proposed regulations’ limits on sick leave rollover apply, a single paid time off policy would need to be conformed to the other requirements for sick leave including, the rate of accrual, the rate of reimbursement, record-keeping requirements and conditions of use, which the employer may or may not want to apply to all paid leave. By having separate policies, an employer can satisfy the statutory requirements regarding sick leave, and define its own conditions for any other leave that it provides to its employees. The deadline for compliance with Arizona’s sick leave requirements is scarcely 30 days away. The penalties for non-compliance are significant, and numerous plaintiffs’ attorneys are undoubtedly ready to scrutinize compliance failures and pursue legal action against unprepared employers. Employers should visit with counsel to prepare and implement the necessary policies and procedures to ensure full compliance with ARS sec. 23-371. Click HERE to access FAQs about minimum wage and earned paid sick time that the Industrial Commission of Arizona has posted. As always, this article is intended general information and not legal advice. Employers should seek counsel for their specific situations from qualified counsel. We are happy to assist employers in considering their options for responding to Arizona’s new paid sick leave rules and the other challenges that come with managing a workforce. 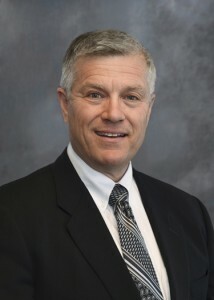 Mr. Shill can be reached at 602.262.5956 or oshill@jsslaw.com.